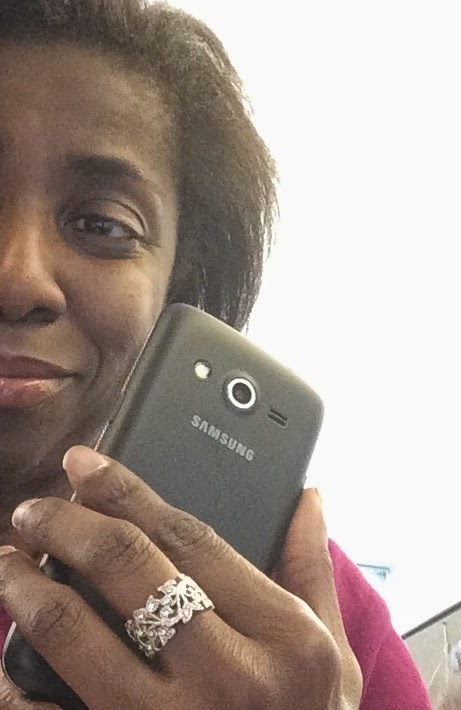 T-mboile Samsung Galaxy Avant does not feel like a No-Contract Smartphone! I don't remember life before my smartphone - really! It's funny that a piece of technology that is less than a decade old has totally changed how I live my life. 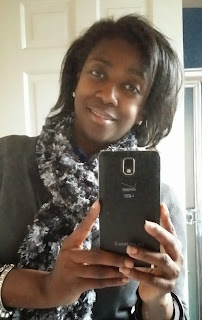 I use my smartphone for everything - for reading books, reading newspapers, watching movies, listening to music and podcasts, keeping in touch with my friends and family - and especially for deal and bargain shopping. I have said for years that smartphones are the new Swiss Army Knives in people's lives since you can turn them into anything that you need with the right apps. 1. 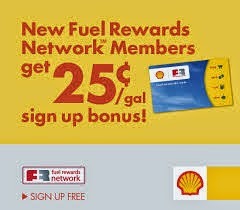 Friends do not let Friends Pay Full Price!!! I don't remember the last time that I paid full price for anything - it is just against my religion. 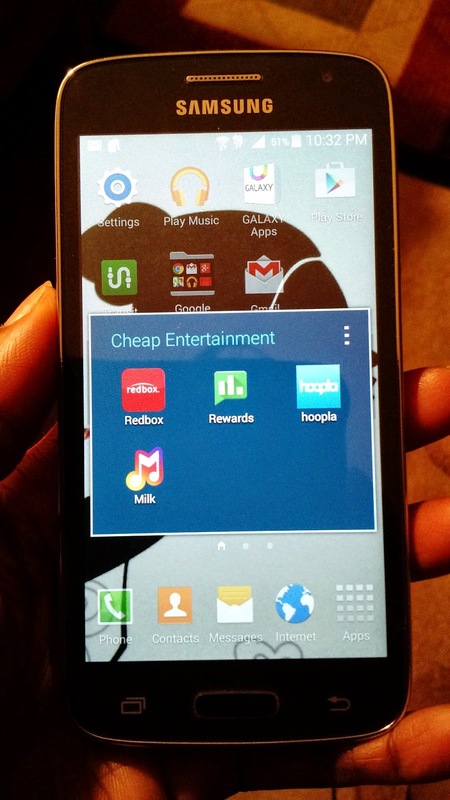 And using my smartphone has made bargain shopping as easy as downloading a few apps that I use daily to ensure purchases are as cheap as possible. Any online shopping that I do starts with using the ShopAtHome app so I can get cash back on all my purchases. Just type in the name of the online retailer, and ShopAtHome returns any promotional discount codes that are available and also tells you the amount of cash back you can get by going through a their link make your purchase. 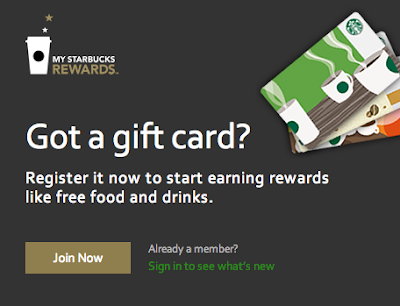 I usually get as low as 1% and as high as 20% cash back on my purchases. After I lost my Fitbit Fitness tracker over the holidays, I used the ShopAtHome app to get 5% cash back on a new Jawbone Up24 Fitness Tracker that I purchased at Walmart.com for 60% off. ShotAtHome gets me cash back on top of my regular savings. Imagine having great deals that are vetted by real shoppers across the country sent to your smartphone all day long. Well that is what happens when you download the SlickDeals app to your smartphone. 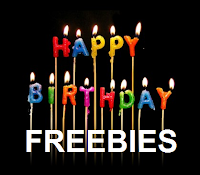 I have found awesome deals over the years using Slickdeals including my first iPad (40% off), my UP24 Activity Tracker (60% off), my Samsung Galaxy Smart Camera (60% off), and a new comforter for my son's bedroom for only $5. The Slickdeals app is a must for true bargain shoppers. Any Walmart shopper should have the Walmart app on their smartphone since one of the features is the Walmart Savings Catcher where you scan your receipt and Walmart gives you back cash in a Walmart eGift Card if a competitor advertises any of the items at a lower price. A friend of mine buys all her fruits and vegetables at Walmart and gets tons back in savings with the Walmart Savings Catcher - write that tip down! 2. Travel on the Cheap! 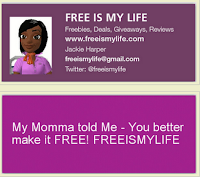 My family loves to travel and I want to travel as inexpensively as possible. So when I have to book plane tickets, I always start my search with the OnTheFly app which lets me use my smartphone to find the cheapest flights to my vacation destination. 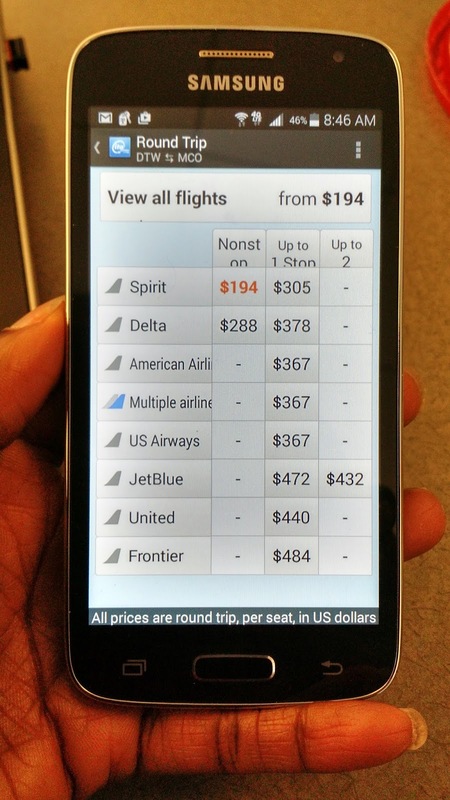 I just enter the details and the app does all the work finding the airlines with the flights that match my specifies. This app has saved me hundreds of dollars each time that I use it. While traveling, Uber is a cost efficient way to get around your vacation destination where you can order a ride and pay - all from your smartphone. Want to save money on transportation while on vacation by taking the bus with the locals? Then be sure to download the Transit app so you can have the bus and train schedules right on my smartphone and watch your bus or train approaching in real-time. This app can save you money and time. 3. Entertainment can be Fun and Frugal at the same time! When my family wants to see a movie, I usually will take out my smartphone and use the Redbox app to order us a $1.50 DVD rental for the night. And the really great thing about the Redbox app is that a couple of times per month, I will get a message within the smartphone app with a code for a FREE 1 night movie rental. So not only is the Redbox app on my smartphone a convenient way to order a movie, but it also gets me even more discounts on my entertainment. 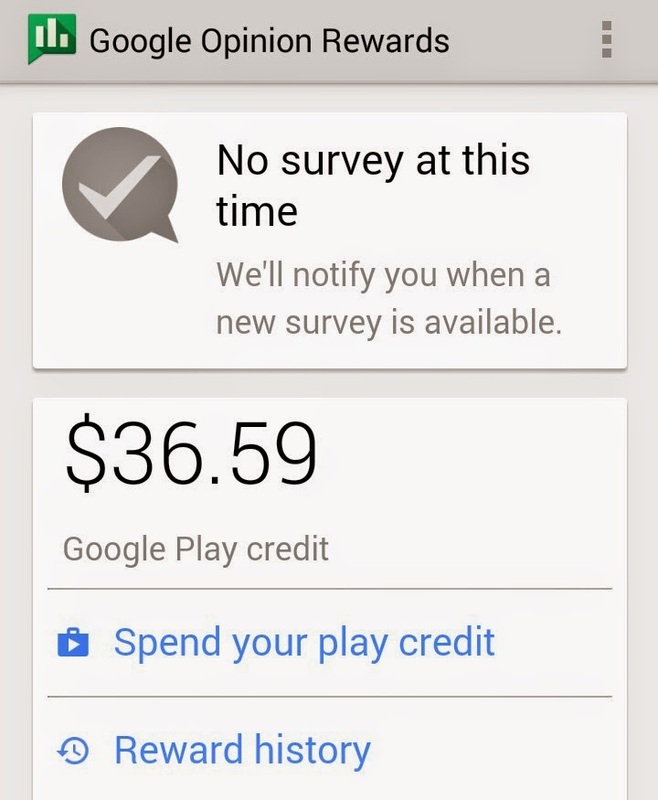 The Google Rewards app lets me take 1 to 10 question short (1 minute) surveys on my smartphone that earns me FREE Google Play store credits. In one year of use, I earned over $65 in credits that I can spend on music, movies, eBooks, and eMagazines in the Google Play Store. I just love this app and thanks to all the credits I have earned, I cannot remember the last time I paid for a song or a eBook in the Google Play Store. If you are fortunate enough to use a Samsung Galaxy smartphone then you already know about the Milk app that lets you pick a music genre and dial up (play and pause) all the music you want - for FREE. 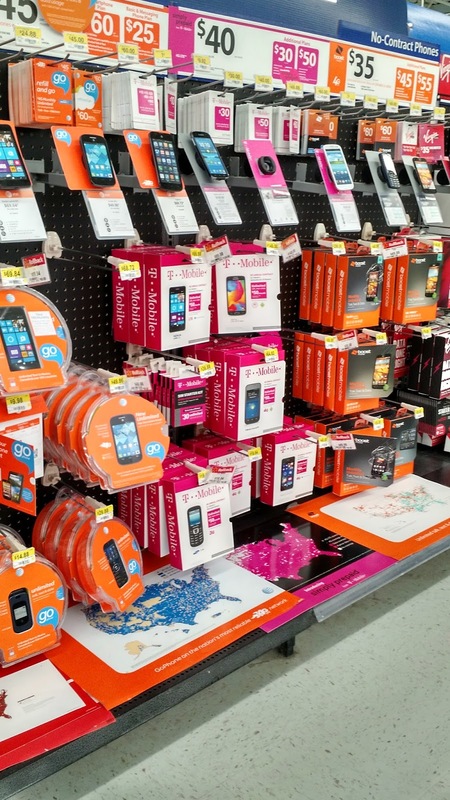 T-mobile Simply Prepaid is available at your local Walmart! 4. Bargain No-contract Smartphone + Bargain Prepaid Monthly Service = T-mobile Simply Prepaid! About 2 years ago, when it came time to buy my son a smartphone, I knew there was no way I would get him a device with a 2 year contract. My son has lost so many things over the years that I just buy things for him in multiples since I know they are not going to stick around for long. My neighbor found the first flip phone that I bought him in their front yard - 3 times!!! He has lost 7 lunch bags, 2 coats, and countless pairs of earphones. So why in the world would I buy this kid a contract smartphone ??? So I did lots of research on no-contract smartphones and prepaid monthly plans and found out about the very affordable T-Mobile Simple Choice 4g LTE Prepaid Plans and T-mobile no-contract smartphones with great features for under $150 dollars out the door. Given the great reviews that I read about T-Mobile prepaid service, two years ago I bought my son his first no-contract T-mobile smartphone and a T-mobile Simple Choice prepaid monthly service plan (which is sold through Walmart) and it has worked out wonderfully. T-mobile Simple Choice prepaid plans start at $30 a month and go up to $80 a month depending on your data limits. The service has been excellent and my son has had a plan for the past two years with 5GB of data and unlimited texting, and 100 talk minutes for under $35 a month which is right in my budget. And when it's time to refill his plan, all I do is buy a T-mobile refill card once a month while I am shopping - affordable and easy. And if God forbid that my son loses the smartphone - or I have to stop the monthly service, I am not out any additional money since the monthly service is prepaid and can be stopped at anytime by just not adding any more refill cards. And since I have had so much success with having my son use T-mobile prepaid over the last 2 years years, I have decided to try it out for myself to lower my monthly expenses in 2015. NEW T-Mobile Simply Prepaid Plans are even Cheaper!!! 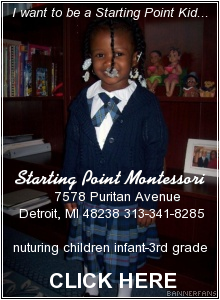 I have been thinking about moving my son up to a higher cost monthly plan to get unlimited talk. So it was great news when I found out that T-mobile has just introduced the new T-Mobile Simply Prepaid Plans. T-mobile Simply Prepaid Plans are $10 cheaper per month than their Simple Choice Prepaid plans so we can save even more money on our monthly smartphone bill - HOLLA!!! 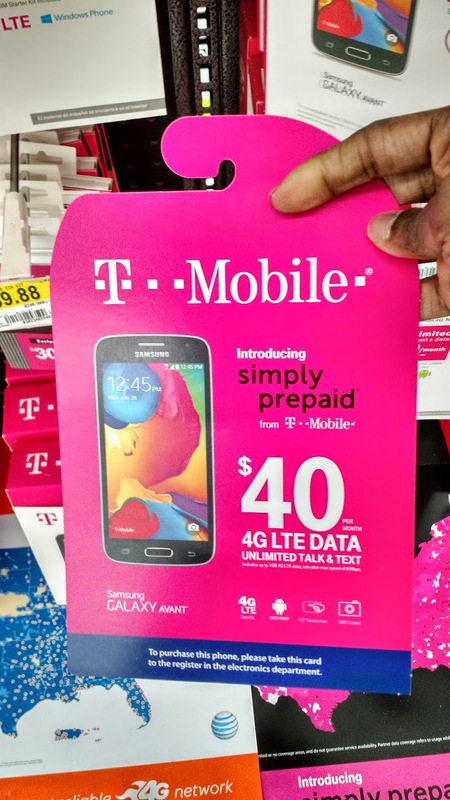 The T-mobile Simply Prepaid Plans start at $40 dollars a month for 4G LTE data with unlimited talk and text. 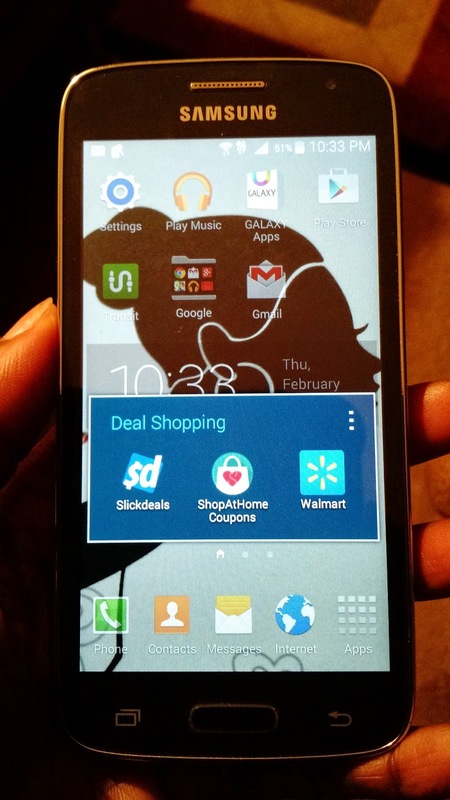 For just under $150, Walmart now sells the T-mobile Samsung Galaxy Avant smartphone with great features that I love like 16GB of memory and an SD expansion slot for storing tons of music, photos, and videos and running tons of apps , and a removable battery so that the battery can be swapped out to keep the device fully charged at all times so that the money savings never stop. And the Bargainista in me loves that the Samsung Galaxy Avant has the same beautiful, super soft leather-like back just like the high-end Samsung Galaxy S5 and Samsung Galaxy Note 4. 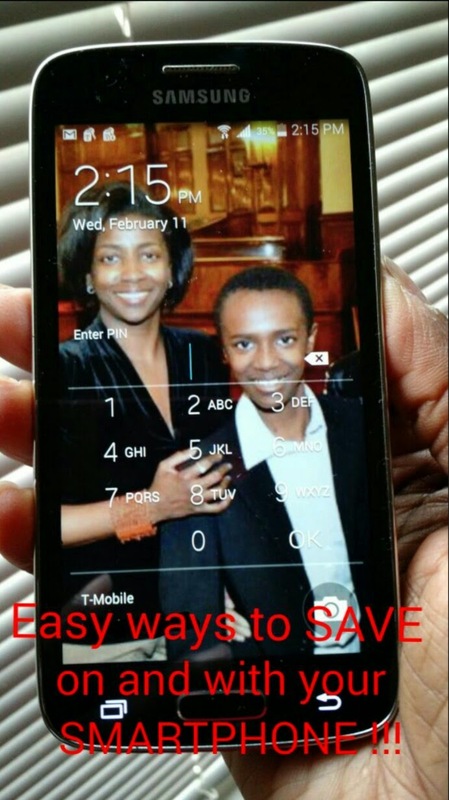 So that is how I roll with using my smartphone for smart money saving.... How do you save money on or with your smartphone in 2015? What are your favorite money saving smartphone apps?